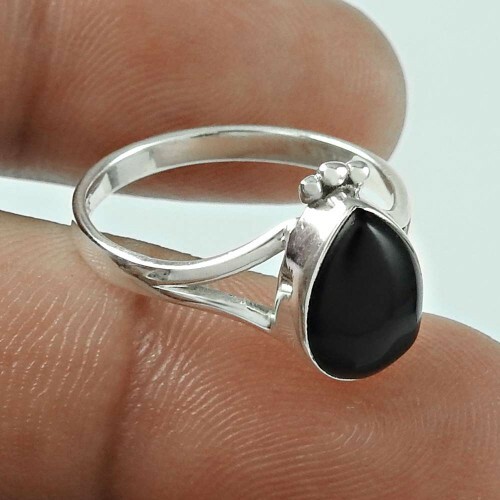 Great Creation 925 Silver Black Onyx Ring. Gemstone: Black Onyx, Colour: Black, weight: 2.1g, Size: 6 US. Unique handmade 925 sterling silver ring. Wholesale Silver Jewellery. Only one piece ready to ship.